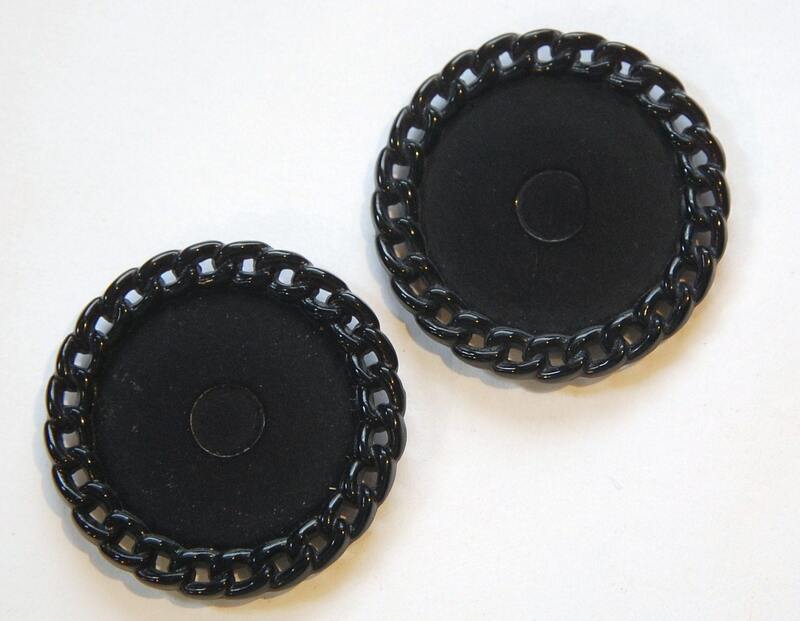 These are vintage black plastic round settings. They have a chain link look edging which is pierced. These were made in Germany. The setting area measures 28mm. The entire piece measures almost 40mm. You will receive 2 pieces.